You may take the student out of the school but never the school out of the student! Perhaps that’s why it is often stressed that one’s school years play an important role in one’s life. Young Indian parents do ample research to identify the best learning environments for their child even as the mother is expecting. They want a school that provides all-round development, co-curricular activities, smart learning, has dedicated teachers, and certainly one that inculcates values for life. 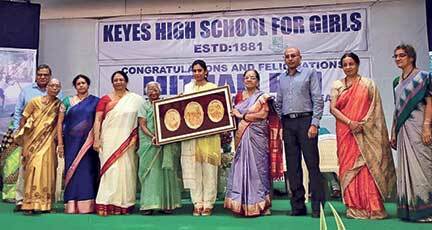 Cricketer Mithali Raj’s parents Leela and Dorai Raj were no different – they chose Keyes High School for Girls, Secunderabad for their daughter for similar reasons, but what they did not anticipate was that she would one day be the pride of her alma mater. Mithali was felicitated for her exemplary performance as captain of the Indian Women’s Cricket Team at the 2017 Women’s Cricket World Cup by the school. It was a nostalgic and emotional experience for both Mithali and her teachers, thought-provoking too for students and parents in the audience. Recollections of the teachers who taught the young Mithali, her own reflections about her school days and the encouragement given to her reinforced the belief that schools play a major role in the grooming of an individual. Coming from a simple middle class family, Mithali joined kindergarten at Keyes in 1986. She took to school like a duck to water and even in her primary years was enthusiastic to take part in every activity. While studies were the mainstay, Mithali also participated in painting, singing and fancy dress competitions – she cajoled her dad to gather the requirements to enter these competitions and he indulged her. No surprise then that all the teachers came to know Mithali as a happy, enthusiastic extrovert. At seven, Mithali was often found standing outside the Bharatnatyam class after school hours. Seeing her curiosity, the dance teacher, Suhasini Shankar, informed her that she could come back after a year. A year later there was Mithali, bells on her feet, announcing to her parents that she had enrolled for Bharatnatyam classes! This was to become her first love and something Mithali had to ruefully bid goodbye to for her game – the bells were replaced by knee pads and the graceful mudras by brisk batting strokes! The teacher, Suhasini, however left an indelible mark on Mithali, be it her recipe for stamina, keeping her hair long or prioritizing what’s important – what ‘dance teacher’ uttered, Mithali followed. Mithali’s father, Dorai Raj, had been a keen cricketer in his school days and having enrolled his son, Mithali’s elder brother, in the St John’s Cricket Camp, he thought it would be beneficial to inculcate the discipline of sport in his daughter as well. 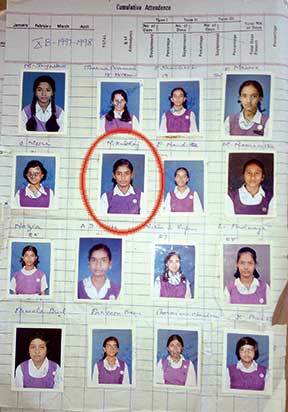 It was here that coach Jyoti Prasad spotted her talent and recommended that she join her school team. At 10, Mithali picked up bat and ball under the eagle eye of the school coach Sampath Kumar who was known to be a task master with both students and parents. Before long, he called Mithali’s parents and asked if they were prepared to make big sacrifices for their little girl who he could foresee as ‘India material’ – a cricketer who would some day break records at the national and international levels. Back in 1979 when women’s cricket was not really heard of, the late Bhagyalakshmi, Honorary Secretary of Keyes and a pioneer in women’s education, encouraged the formation of a women’s cricket club, making it clear to students that gender played no role in any field and girls were just as good as boys, paving the way for great cricketers to emerge from Keyes – C. Malathi was the first captain who played at the National level, followed by Harsha Harinarayan, Sai Kiran and Sunanda, to name a few. Soon the cricket pitch became full time school for Mithali and academics became part time, yet something strongly stressed on by her mother Leela. 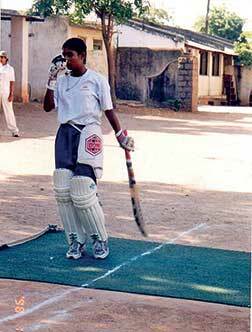 Mithali was at the pitch at 6 am, in the classroom at 9 am and back for cricket practice at 4 pm for the next four years. These were the years when her coach Sampath Kumar left no stone unturned, he taught her every stroke even if it meant spending an entire day to perfect one. He also prepared Mithali for everything that she would have to tackle along with the game – believing in herself, handling physical strain, remaining calm and giving her best to every match. He had lessons for Dorai too, on how to take care of a champion and for Leela on how her only focus was to be Mithali’s nutritious home-cooked food, exercise and eight hours of sleep – all non-negotiable while preparing to compete internationally. “Keyes was Mithali’s home away from home. Her teachers were more than supportive; they helped her make up for lost classes, sit for exams on Sundays and even take power naps when they found her tired,” says Leela. Mithali surpassed the league matches locally, made her international debut at 16 and has since made a habit of breaking records, the latest being the world record for the highest number of runs in one day internationals by a woman cricketer when she scored more than 6000 runs. It’s clear to see then that schools do groom children. The teachers, the management and values imbibed over the crucial growing years of a child remain embedded in the DNA, to surface when required. The author is a freelance writer who believes in sharing stories that empower, enrich and encourage individuals to see value in holistic living. She can be reached at minipad236@gmail.com.